The web does not lack for advice on how to build brand newsrooms. Much of that advice circles the same themes and very little of it deals in specifics. With that in mind, ScribbleLive hosted a chat with some brand newsroom experts this past Tuesday (April 8). We talked with pros like Chris Hogg, co-founder of /newsrooms; Justin Pearse, head of marketing for bite global; Steve Smith, partner at The Starr Conspiracy; Jon Bernstein, author of a seminal whitepaper on brand newsrooms; and April Umminger, vice president-director of Chicago newsroom, media services at Edelman Digital. They had a lot to say, but we paired it down to the essential answers to the big questions many people are asking. Read on to learn why brand newsrooms matter, what they should look like, how journalists can make the leap, what brands can reasonably expect and what the future holds. Q: What is the real value of a brand newsroom? 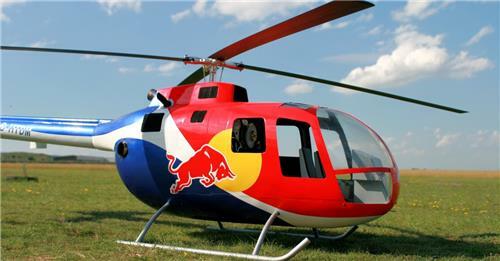 MashableRed Bull is a publishing empire that also happens to sell a beverage. A glimpse at the brand's expansive market, made possible by strategic content marketing. 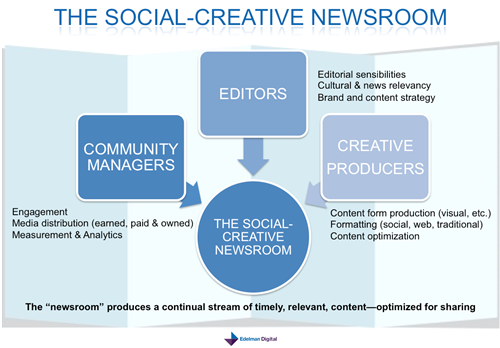 Q: What should a brand newsroom look like, and who should it include? Q: What advice would you give to journalists who want to move into brand newsrooms? For journalists who are considering a shift into brand newsrooms, there are plenty of opportunities. LinkedIn is a good source to find them, and most agencies are looking to hire journalists. The ex-journalist needs to be comfortable making the shift. A good example of a journalist who has made the move here in the UK is Clare Francis, ex-Sunday Times, who runs MoneySupermarket.com team. It's a comparison site and she provides news and information around personal finance (that 'News you can use'). She is satisfied that although she works for a commercial organisation, the content is not influenced by the commercial relationship. Q: What can brands expect in the first 30 days post-launch? Brands should have reasonable expectations. Brand journalists should set an editorial calendar that aligns with the marketing plan and get some quick wins on the board. Show results and remember done is better than perfect. Three pretty good pieces of content in the first 30 days is better than one perfect piece – or none. Q: What are some common mistakes brands make? Q: Finally, what does the future of brand newsrooms look like? To learn more, including why metrics matter, whether out-sourcing makes sense and which brands are doing stellar work with their newsrooms, check out the chat itself. To learn how ScribbleLive can help transform your brand into an active newsroom, click here.